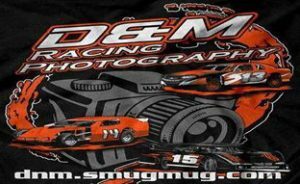 Thanks to an unanimous sponsor, who has put up an extra $100, the I-Smile Silver Late Models will no pay $700 to Win! David Weeks has added an extra $100 to the 305 Sprint Car feature winner, making them $700 to win. He has also added an extra $100 on top of the Budweiser IMCA Modified feature, making them $600 to win. Plus he has added an extra $100 to the Donnellson Tire & Service IMCA Stock Cars, making them $500 to Win! Jimmie Sykes is giving the winner of the Roberts Tire Center IMCA SportMod feature a brand new tire. He is also putting an extra $50 to the Discount Tire & Service IMCA Sport Compacts feature winner, making them $250 to Win! 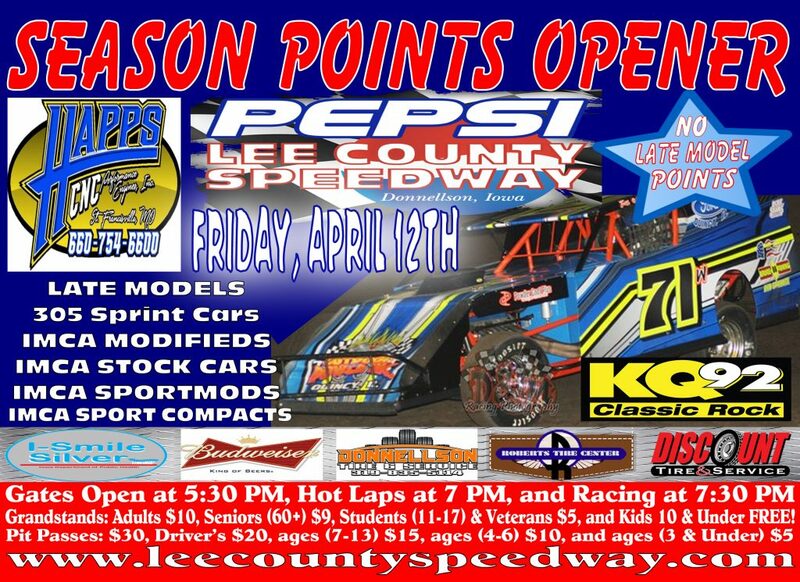 Thank you everyone for supporting the Pepsi Lee County Speedway driver’s!